Williamsburg, KY – Scholastic 3-D Archery has name Laura Shambaugh (former S3DA Michigan State Coordinator) as the new S3DA Texas State Coordinator. 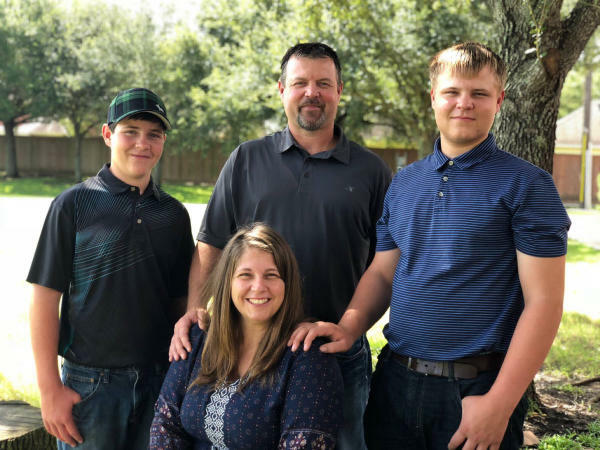 Laura was born and raised in Central Illinois, but currently resides in Sugar Land, Texas with her husband Jason, whom she has been married to for 18 years and has 5 beautiful children with: Sarah, Tyler, Matthew, Hunter and Wyatt. Laura and her family have been shooting competitive archery for some time now. Laura has a very busy schedule between shooting when she gets the chance, homeschooling, founding homeschooling co-ops, helping run two construction businesses, and starting and running different non-profits. She has built the foundations of as well as ran several 501c3 Homeschool co-ops that focus on elective style classes, giving youth the opportunity to learn together in hands-on settings. She has focused on bringing into play a variety of classes that youth can experience hands-on with outdoor education, art, sciences, physical education and other learning environments that are beneficial as a group. Shambaugh enjoyed spending time with her family, fishing, and being on the river as a young girl. She was introduced to archery at Girl Scout camp and introduced to target archery by Shelley Saxwold and Randall Wellings of Straightline Archery in Ishpeming, Michigan. Shambaugh’s introduction to the hunting world came through her husband and a membership with the National Wild Turkey Federation. She received her very first bow as a gift from her husband and her passion for archery continues to grow. Leaving Michigan S3DA as the State Coordinator was a very hard decision for Shambaugh. She gained lots of great experience from her local shop and earned her S3DA Advanced Archery Instructor Trainer and USA Archery Level 3 Certifications. Shambaugh formed the Michigan S3DA 501c3, updated the S3DA Michigan Facebook page quite regularly, and improved communications with coaches and clubs all while being the S3DA Michigan State Coordinator. In the 2018 season, Michigan S3DA was able to host for the 1st time, all three S3DA Target competitions at the regional AND state levels. Before leaving Michigan, Shambaugh made it a priority to form a Board of Directors to assist in maintaining the growth of the state program. Laura Shambaugh became a part of S3DA because she saw the way it can touch children’s lives. S3DA was a natural addition to the Shambaugh family, as S3DA bridges the hunting and target archery communities, opening the door on both sides to experiences and opportunities that children may not have had before. Shambaugh saw that S3DA was the perfect fit sport-wise for homeschoolers. She feels that S3DA provides time for families to be together and is a sport that you will not outgrow. Shambaugh states, “When the "traditional" school sports end for most children, our archers are moving into larger competitive fields. They are using the skill of archery in competitions and afield throughout the rest of their lives. I have seen this sport change so many lives and watched children who could not play a traditional sport, thrive at archery! Watching the kids grow in archery and being able to help them become part of something that changes their lives is such a blessing.” Shambaugh contributes the S3DA success to passionate leadership and coaches that have helped the program grow exponentially across the country. Laura Shambaugh states, “Though I am not an accomplished hunter, I have spent many hours in the tree stands mentoring our sons and other youth in hunting. I have always found myself more excited to see them take their own deer or game, than the importance of me doing so. Archery has always intrigued me. I look forward to seeing amazing growth in Texas S3DA in the coming year”.